Oslo is the heart of Scandinavian heritage and the capital of Norway. The city has more than 618,000 residents and the ghosts of past Viking lords too! Oslo is a breath of clean, crisp air and a hub of art and natural beauty. Famous tourist attractions include Vigeland Sculpture Park, the Oslofjord and the Viking Ship Museum. Cheap flights to Oslo are now available for a limited period of time, so get ready for a trip of a lifetime to this exciting city! Oslo is the home of Oslo Airport (OSL), which is located just 40-minutes from the city centre. In Oslo, art does not necessarily mean museums and galleries. 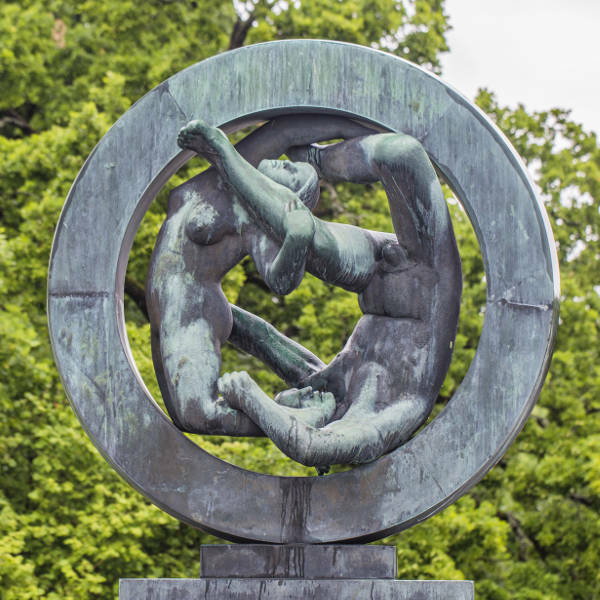 Here, you can view unique sculptures while taking a stroll in Vigeland Sculpture Park. 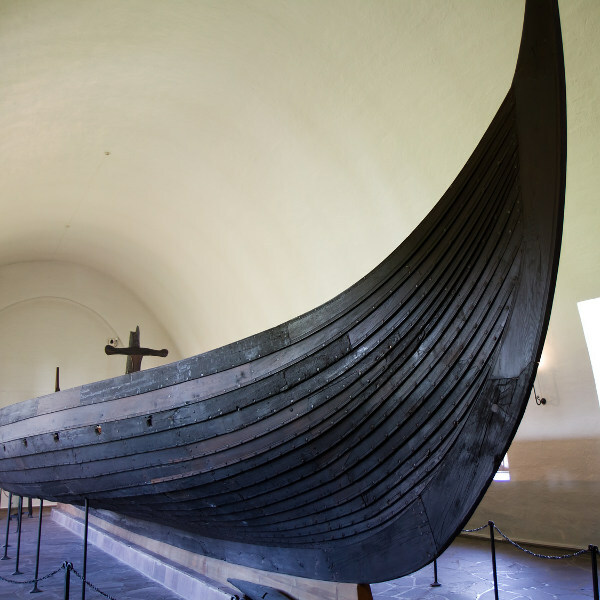 More than 1000 years old, the ships of Viking ancestors are well-preserved at the Viking Ship Museum, always leaving visitors in complete awe. In Oslo, everyone participates in fun, outdoor activities. Enjoy the fresh air while you schuss down velvety slopes, glide across shimmering lakes or bike through the city. Oslo is a fantastic city to visit any time of the year, depending on your personal interests. The summer season temperatures never really rise above 20-22 degrees Celsius, but what is great about this city in the summer is that you can experience a really jam-packed day with the sun only setting after 10pm! Tourists tend to travel to Oslo over winter even though it is really cold, as Oslo has some really good ski resorts and the north of Norway is a great spot for viewing the Northern Lights. This is generally visible between March and October, and visitors are often spellbound by the sight of it. Having the great Vikings as ancestors means the people of Oslo and Norway have a lot to hold up to. 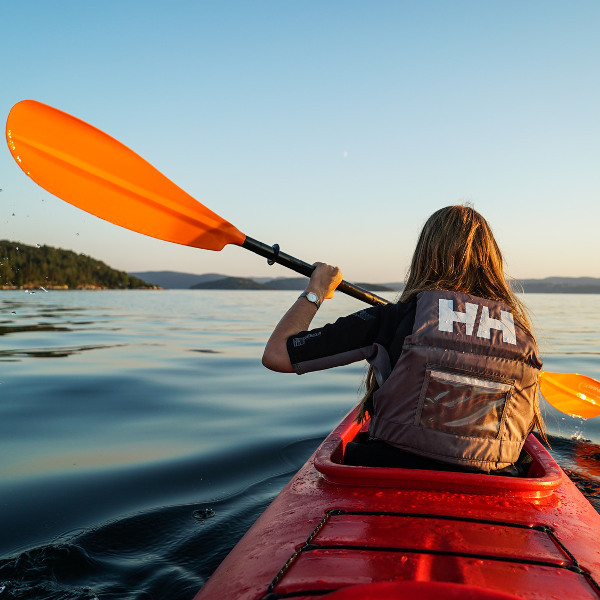 Luckily, everything in Oslo is worth the visit and with all that fresh air in your lungs, you’ll most likely want to extend your stay. About one half of the entire city has been reserved as urban green spaces and the rest for art spaces, coffee shops and Norwegian butter cookie vendors! One of the top attractions in the city is the Viking Ship Museum which houses three original ships in great condition. At least one of the ships was captained by a woman and you can view her Chinese silk material and jewellery boxes too. Oslo is also a great party destination, and with long summer nights (it is often light until 10pm!) the residents of the city certainly know how to have a good time. Compare several airlines, and book your cheap flights to Oslo online at Travelstart! Oslo is a safe city with very little crime reported. As with all big cities though, please be aware of your belongings in public areas such as city squares and on public transport such as trains and buses. There have been whispers of there being a minor drug problem in the city, but this is reportedly mostly in the smaller, quieter areas of the city and the train stations at night. Before your trip to Oslo, ensure all your routine vaccines are up to date. You will not need any additional vaccines for your trip to Norway, but it is recommended to get shots for hepatitis A, hepatitis B and rabies.